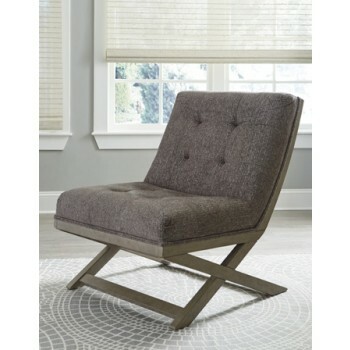 Take a comfy seat in this fashionable accent chair. Upholstered in a blue polyester blend fabric, you’ll love the way it feels. Tufted back adds a classy design element. Armless profile with “X” base makes it the perfect companion for open spaces.